Puppy Bandana supply quirky fun fashion bandanas for puppies and dogs. Our dog bandanas are handmade, available in a variety of sizes and we offer a wide range of fun colours and designs. We also have a number of ties and bow ties for sale. All of our dog bandanas are handmade here in the U.K. and posted from our local Post Office. We are a small business, established since 2012 and we have grown the business from scratch. We love what we do and it’s especially rewarding to receive photographs of delighted dogs wearing their dog bandanas. Our dog bandanas are tie on dog bandanas rather than over the collar. 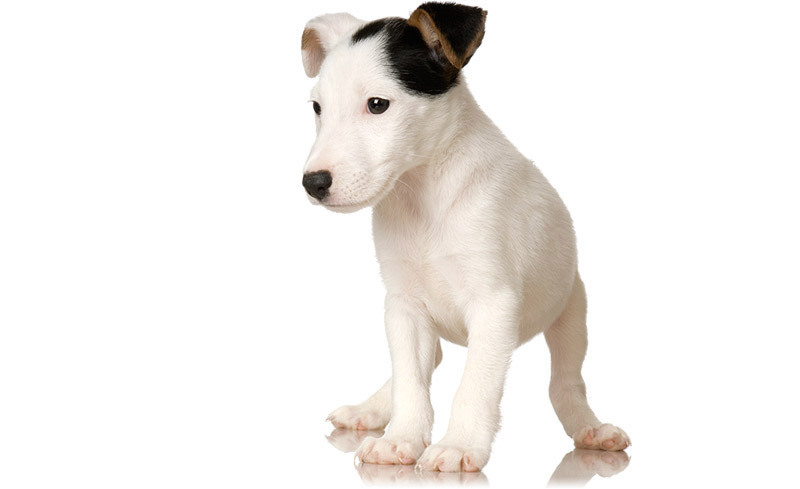 They do not interact with the dog’s collar at all and can be worn with the dog collar still in place. They simply tie around the dog’s neck. The bandanas are single-sided and made from cotton or poly-cotton which means they drape well and they’re comfortable to wear. The great thing about Puppy Bandanas is the wide range of dog bandanas designs available for you to choose from. If you browse through our website you’re sure to find a bandana that appeals to you and suits your dog perfectly. Take a look at our full range of dog bandanas for sale. Our dog bandanas come individually wrapped in simple yet attractive Puppy Bandana packaging. A puppy or dog bandana makes a lovely and unique gift for your own puppy or dog or that of a friend. 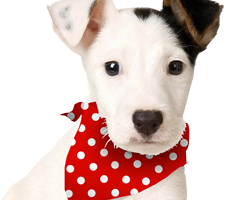 Puppy Bandana use Facebook, Twitter and Instagram to share news of new designs, special offers, discounts and competitions. Please ‘Like’ us on Facebook and follow us on Instagram or Twitter.